Please email me exerpts describing your stays with the General so I can add them to the website. Thank you. 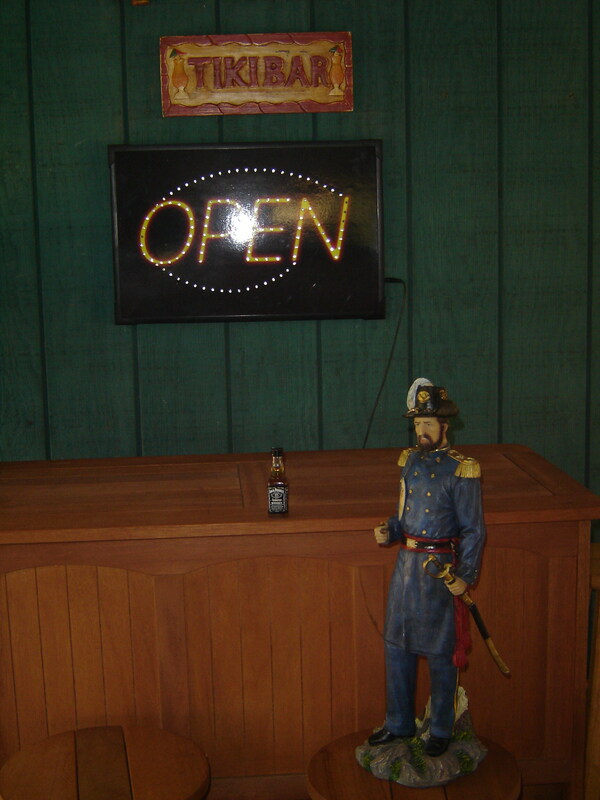 Rick Gray supplied these photos of the Generals stay. 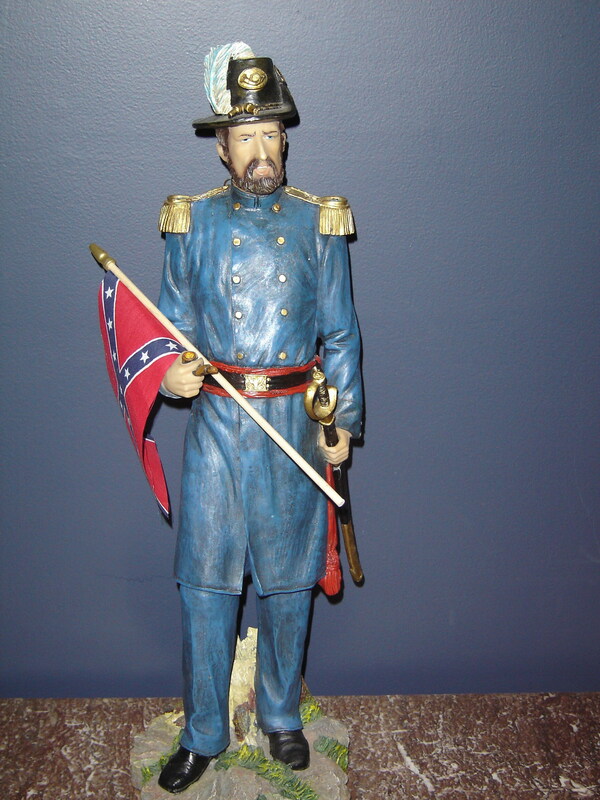 Rick said that General was treated with the utmost in Southern hospitality while he was with him. As well as an ample supply of Tennesee Whiskey. Above is the General first checking out his new "headquarters" while in captivity at the Gray plantation. Note the anticipation in his eyes. Rick said the one thing that is very apparent about the General is he goes at every endeavor with 100% drive and focus. When he sets out to accomplish something he does not stop until the job is done. The General does not look enthralled in this photo. Rick was able to coax him into holding the Naval Jack but only after the General had finished his earlier job. 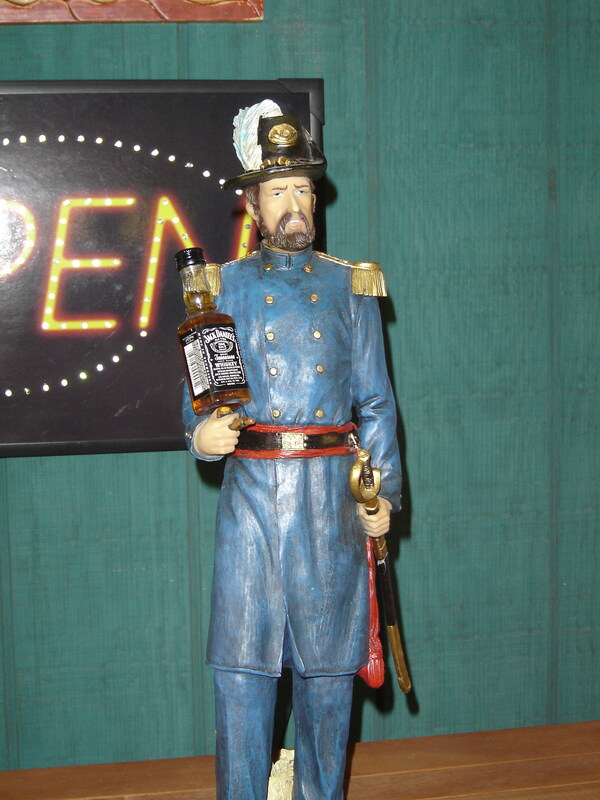 I don't think you will get the General to pose like this without plenty of Whiskey. During his stay with Rick the General struck up a friendship with Rick's Uncle Jacob. While they differed in their politcal views they had many things in common. Rick said after musing over the above picture he realized an important point. 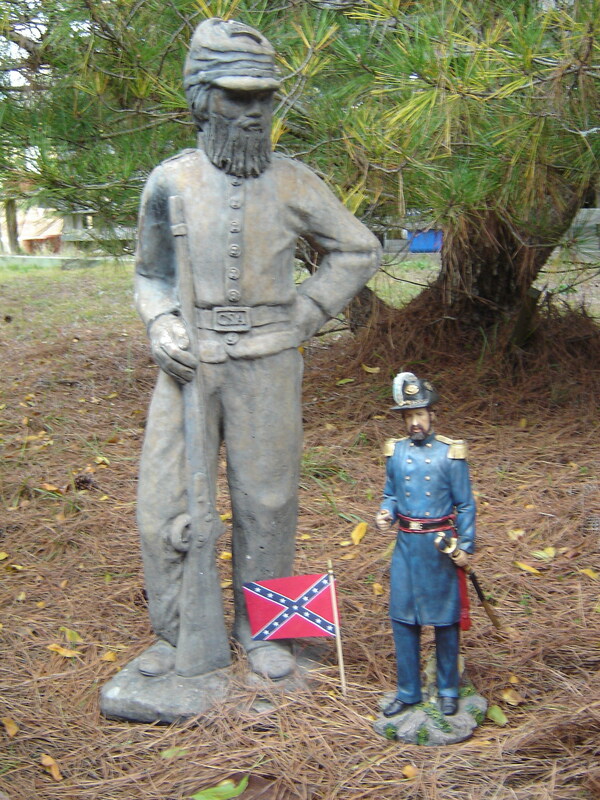 Rick now is convinced that the well known theory that the Confederate Soldier was bigger than life is true!